The ML1050ST+ has been engineered with a short throw lens to make it even more flexible for meetings, presentations or movies on-the-go. 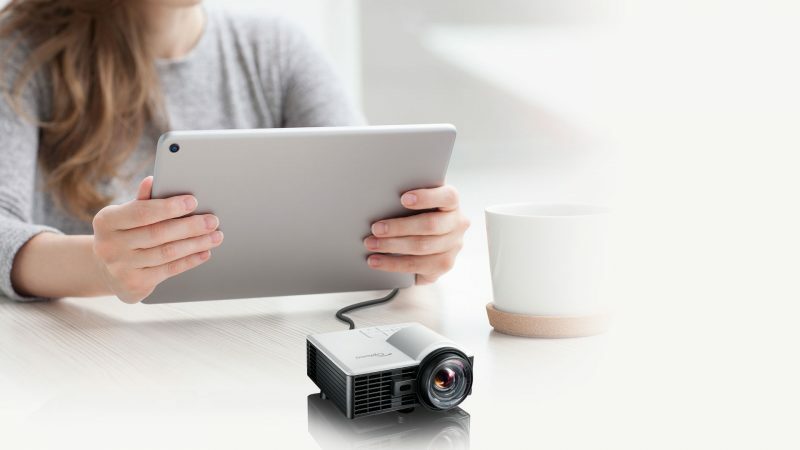 This tiny projector weighs just 0.46kg and comes with a convenient carry bag. 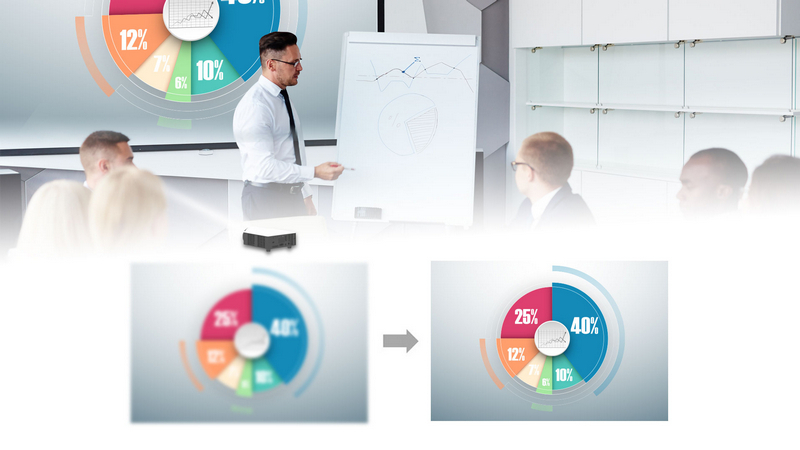 Give laptop free presentations using the built-in media player, native office viewer, microSD card slot and USB connection or present wirelessly from a mobile device using the free HDCast Pro app and optional wireless USB adapter. 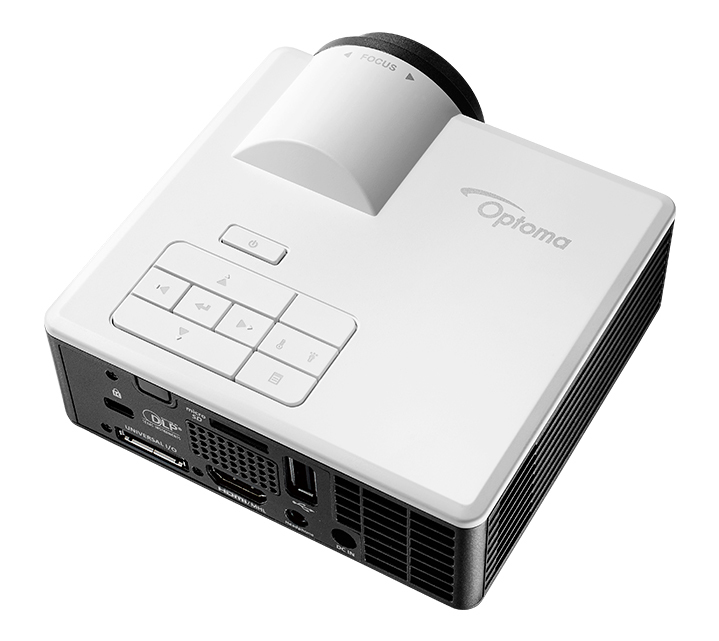 You can even use the ML1050ST+ for digital signage applications as the projector can be mounted in virtually any orientation. LED technology provides accurate color reproduction (Rec.709), long life and support for portrait mode. The compact ML1050ST+ is ideal for watching HD movies directly from a microSD card, USB stick or using the built-in memory. 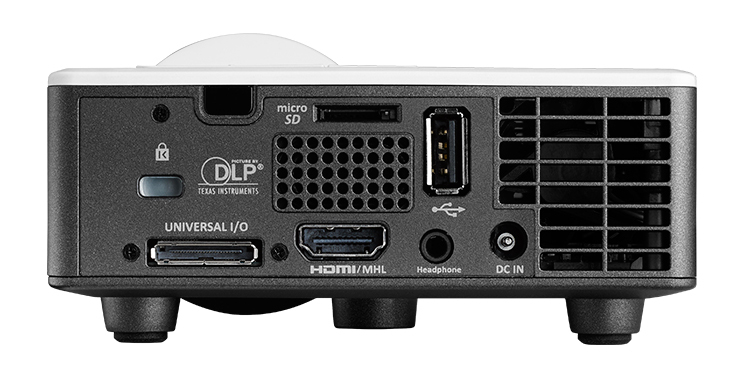 HDMI input enables connection to the latest laptops, PCs, games consoles or Blu-ray™ players and Mobile High-Definition Link (MHL) technology allows users to display content directly from an MHL-enabled mobile device. 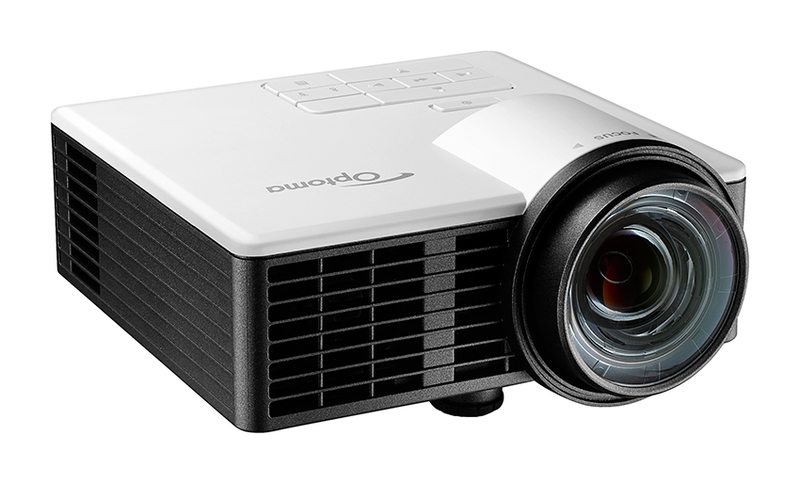 And with a low 17ms input lag and quick response time, this entertainment projector gives gamers a competitive advantage. 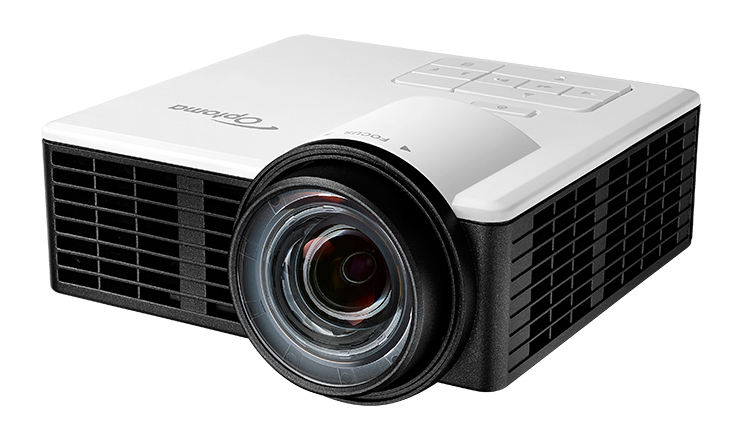 The ML1050ST+ offers big image in tight spaces, creating 80 inch projection images from just 1.38 meters away. Ultra-small form factor at only 460g weight. This tiny projector gives you the convenience to carry it everywhere you go. The ML1050ST+ adopts an focus sensor that automatically provides a sharp detailed image for you. 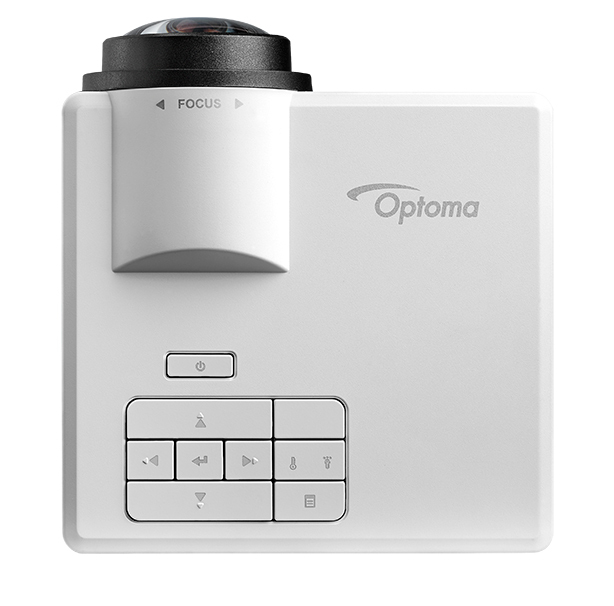 With the auto focus function, the projector can be set up easily and quickly. The ML1050ST+ adopts an LED light source, which replaces a traditional lamp and color wheel, while also having a super long life up to 30,000 hours. It’s 7 times longer than traditional lamp life ratings, saving you both time and money. 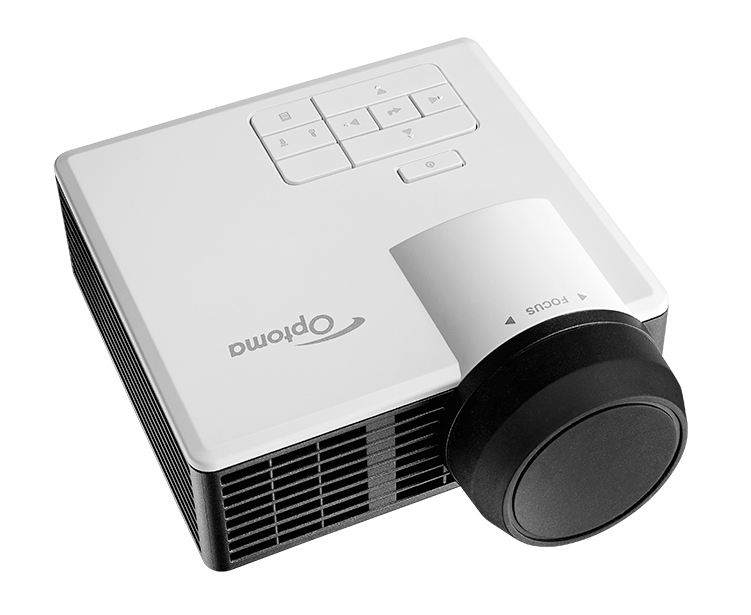 Turn on/off the projector in seconds, saves your waiting time for warm up and cool down. 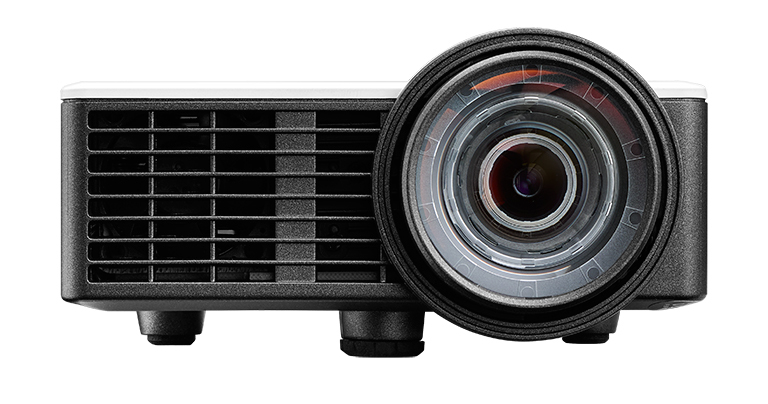 The ML1050ST+ LED projector delivers accurate color along with WXGA high resolution and high contrast, provides reliable performance suitable for any content and environment, is your secret weapon for the perfect presentation. Adjust the vertical image angle to project a perfect square image automatically. Auto keystone correction makes it easy to set the screen configurations from a variety of locations. Without the need of connecting a laptop, project documents, images or videos via the internal memory, a USB stick or micro SD card. Wireless projection with optional Wi-Fi dongle. 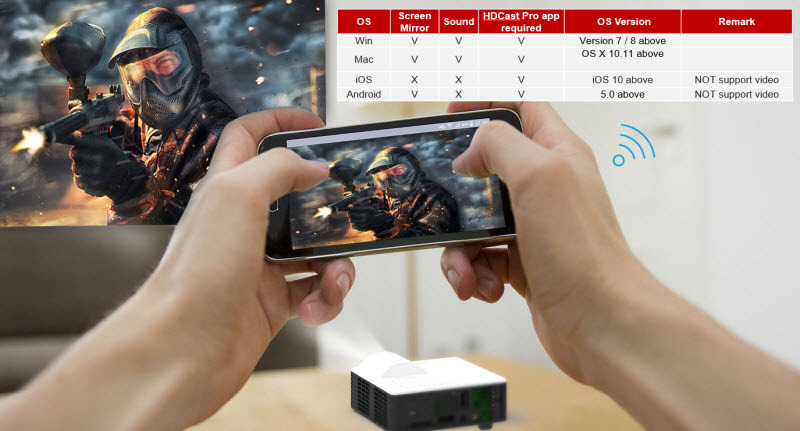 With an optional WiFi dongle and using the free HDCast Pro mobile APP, you can wirelessly connect to your laptop, tablet or mobile device and project your content to the big screen. 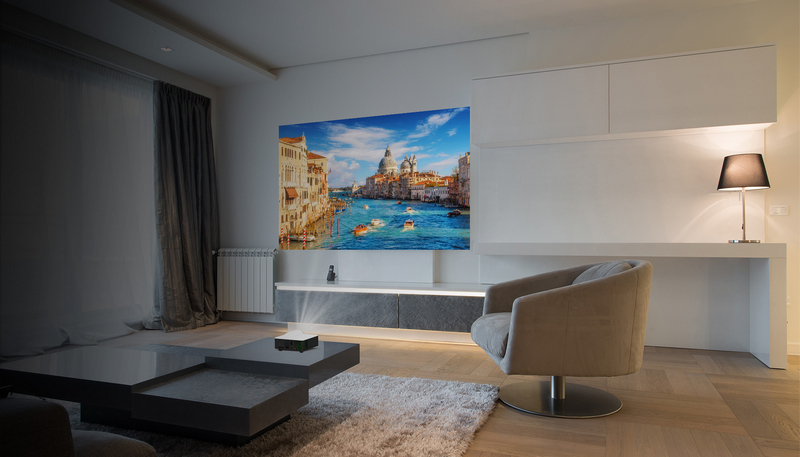 With WiFi display, you can eliminate cable clutter and increase connection versatility. The ML1050ST+ will automatically power on when AC power is supplied, without pressing the power button on the projector control panel or on the remote control. It will also automatically power off after a set period of time using the sleep timer function.